I received an excellent golfing book as a present at Christmas; 365 Golf Tips and Tricks from the Pros by Jay Morelli. This book talks about the basics, rules, sand play, equipment and much more. It is a very quick read and the tips are concise and to the point. I recommend it. This very thoughtful gift started me thinking. How do I know the difference between a good tip and well…..white noise. Yes, we all know: white noise does not add to the situation and drowns out the important information. This noise can be anything from your 20 handicap playing partner advising you how he they would play the shot while you are thinking; 50 things you are trying to remember during your golf shot or the reams of information (4,930,000 hits to be exact) that that overwhelms you when searching on “how to improve my golf swing”. White noise is all around us all the time. It is a distraction that does slow anyone’s ability to improve their golf game and for $19.95 I can guarantee to improve your mental skills while playing golf….okay, just kidding. But, this is the exact type of white noise that many amateurs will here day in and day out that causes confusion. Can it really be avoided? Well, that depends…. Golf is a unique sport. It is difficult and easy, played as teams and individuals at the same time, or creates inclusiveness or solidarity. It really is the one sport where a person can play their entire life, compete against no one and yet compete every day. Golf is a sport where a player can challenge themselves everyday and feel a sense of accomplishment after each round. No other sport provides this type of dynamic. Everyone does this process everyday for practically every situation. However, some golfers looking for a quick fix seem to skip steps 2 and 3. As an example, Player A always slice the ball off the tee. They jump to the solution to change their grip because their 20 handicap partner noticed something. It worked….once. They decide to change their grip and ultimately, no success! Decide on the best fix for Player A. To adjust something in your golf game does take time. This process does work (at least for me) and is very been very effective in improving my game. The question always boils down to how much time are willing to commit to making improvements. This is the balancing act that all players must do to achieve their golfing goals. Unfortunately could not find the book in kindle:-( Would there be some advice of some other books for beginners? Well that is a great question. I will do some research and let you know. Are you looking for a how to book for kindle? 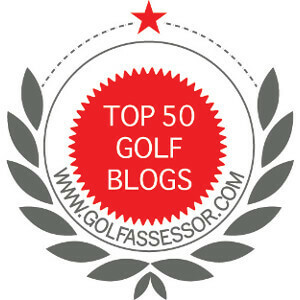 No no, tips to improve:-) maybe you might write a post about various books of golf? I am going to post the books and DVDs I have and some comments. Also, put the question out there if for suggestions. There are quite a few and I will post my favorite link.